We utilize the safest material for dental fillings. 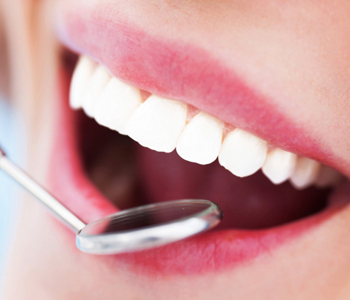 Dr. Virtue has taken a biological approach to dentistry for more than 17 years. As a mercury free practice, he does not offer amalgam fillings, which contain up to 50 percent of mercury, a potent neurotoxin. Instead, he offers dental fillings made of composite resin. This material is biocompatible, which means it will not harm the body. It is also versatile and strong. Composite resin bonds to the tooth structure, making it ideal for procedures such as dental fillings. We are committed to patient education. We invite patients to explore our website, watch our educational videos, and visit our team to learn about oral conditions and diseases that can affect the whole body. We strongly believe in educating patients so they can make the best decisions regarding their oral and overall health. Committed to the prevention of diseases and conditions, we tailor oral health care regimens to meet the unique needs of patients. We provide innovative technology. We choose technology that can better patients’ lives. We utilize CEREC (Chairside Economical Restorations of Esthetic Ceramics) technology to provide restorations such as dental crowns in a single visit. We utilize intraoral cameras to identify issues that may be undetected with the unassisted eye. We can view the images on a computer screen and discuss them with patients. Are you looking for a dental team that can take care of you and your family? We would love to meet you during a consultation. Schedule yours today. Virtue Dental Care Patients call (336) 679-2034 and New Patients call (336) 679-2034.